My ancestry is rather mixed–Scots-Irish, German, and Welsh. Adidas buty damskie nike air max 2015 hombre buy albion gold In my research of my Welsh heritage, (Evans) I came across the AmeriCymru online community. ray ban pas cher AmeriCymru is a social network for the Welsh, Welsh ex-pats, persons of Welsh descent and Cymruphiles all over the world. I wanted to share this interview with the readers of this blog. AmeriCymru also supports and in some cases sponsors Welsh events in the USA. AmeriCymru: Rickey and many thanks for agreeing to this interview. Air Jordan 7 Nike Air Max Pas Cher cheap albion gold You are an Author, Folksinger, Songwriter and Storyteller. fjallraven kanken What would you consider your primary focus? I had been a student of what is known as America’s Civil War (War Between the States is more accurate) and I accidentally discovered the story of Jim Limber, a free child of color, who Jefferson Davis (also of Welsh ancestry) adopted during the War. Maglie Miami Heat That one story made me realize that there were many, many more like it waiting to be discovered and told. AmeriCymru: On your recent CD ‘The Minstrel Boy’ we find a track about Gwenllian The Last Princess of WalesCare to tell us a little more about that? Rickey: The story of Gwenllian was also a serendipitous discovery for me. I was researching Welsh history and discovered the Gwenllian Society, her story, and so many sad things about her. Cheap Nike Air Max Trainers UK That is what prompted me to write my song, “The Last Princess of Wales.” My Celtic heritage has grown in importance to me, especially the Welsh (Evans) branch of my family. albion silver There’s another song I do, “Cousin Jack,” about the Cornish miners. Kopen nike air max schoenen Detroit Pistons albion gold My great-uncle Ernest Evans was a coal miner in Colorado, as was the rest of his family and his parents, so that song immediately struck a chord in my heart. AmeriCymru: You are known as ‘The Bard of The South’. nike tn pas cher buy albion silver Many of your songs and stories deal with Southern themes. cheap albion gold Care to elaborate on that for our readers? I have studied the Welsh bards, the harpists, and they motivated me to speak for and to the South in the same way they spoke to and for those in Wales. AmeriCymru: In your opinion how significant is the oral storytelling tradition in contemporary America? Rickey: How important is storytelling? I think for those who see its importance in the past and to their own family, it can be very important. However, apathy runs deep in our younger generation and I believe it is more difficult to make them see the beauty and life-meaning in the stories. buy albion gold I believe the various Celtic festivals have helped reawaken interest in storytelling and hopefully will touch young hearts in some way so that they too will be bards of their own generation. AmeriCymru: Where can people go online to buy your cd’s and publications? 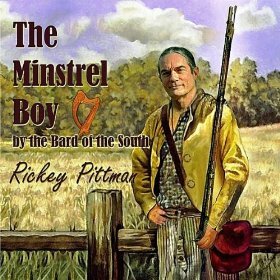 Rickey: People can buy my books and CDs by going to my website and clicking on the links for BOOKS and MUSIC.